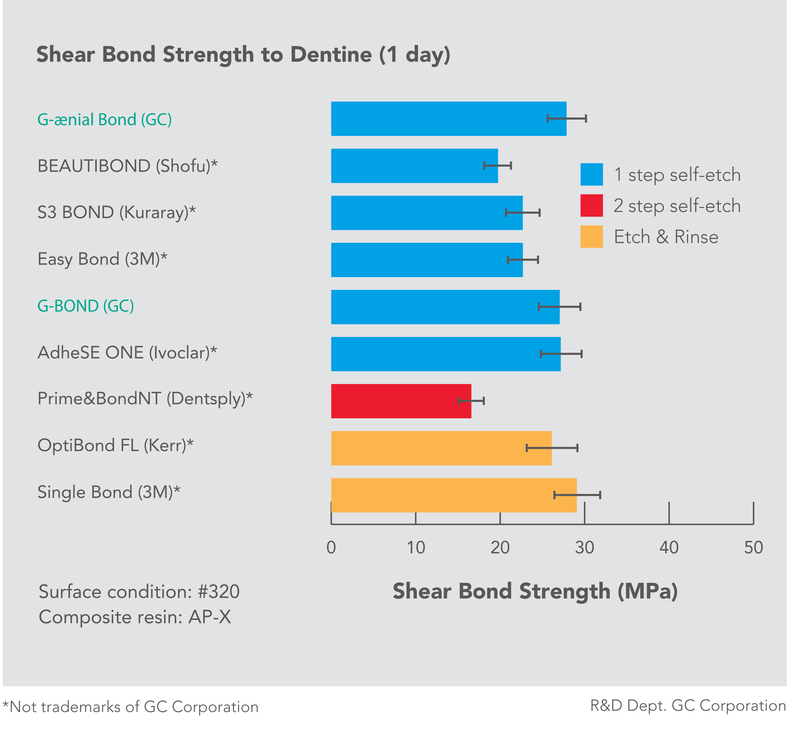 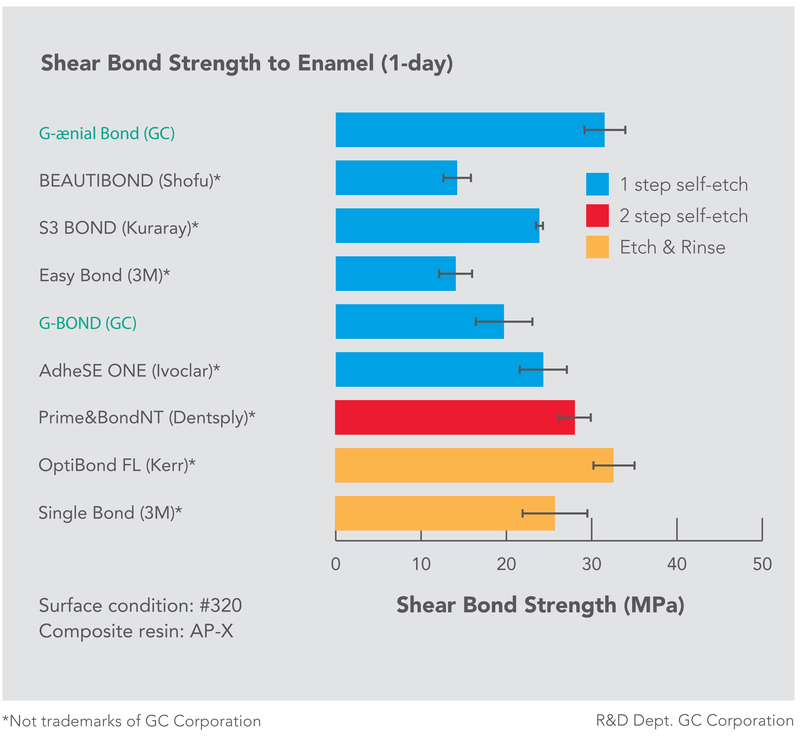 With the selective etching approach, G-ænial Bond offers the best of both worlds: the simplicity and reduced post-operative sensitivity of a self-etch adhesive, together with the greater bond strength to enamel that was traditionally found only with etch & rinse adhesives. 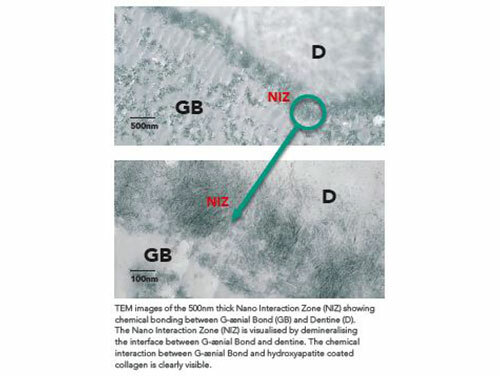 The key to strong and durable dentin adhesion is a zone of chemical bonding called a Nano Interaction Zone (NIZ). 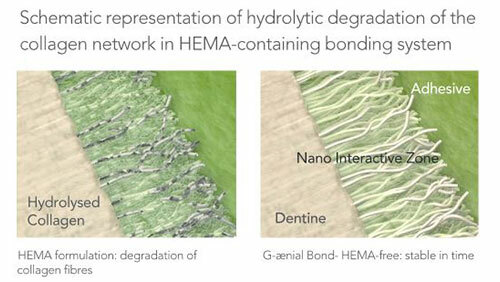 HEMA-Free formulation avoids degradation of collagen fibrils in dentine, giving superior long-lasting bond strength.